Phil Fox Rose is a writer, editor and content lead based in New York City. Until recently, he was the editor at ecumenical faith-based publisher Paraclete Press. He has been coordinator for Contemplative Outreach in New York City and chair of the leadership team at his church St. Lydia’s — an awesome dinner church in Brooklyn, NY. Phil is also chair of the ELCA’s Metro New York Synod Assembly Planning Committee. He writes the blog On the Way at Patheos. Phil has been a political party leader, videographer, web developer, tech journalist, punk roadie, software designer, sheepherder, stockbroker and downtempo radio DJ. A common thread in a number of these roles is the process of learning about stuff, figuring (at least some of) it out and then sharing that understanding with others. Whether writing a column or working on a small team, Phil is a lateral systemic thinker who sees the big picture, anticipates problems, and imagines fresh approaches. A related thread is being a bridge or liaison between non-technical types — readers, management — and specialists — software coders, audio engineers, theologians, writers and graphic artists. By combining communication, people and analytical skills, Phil is able to speak to, understand and earn the respect of specialists and relate that information in a clear non-jargony way to senior management or readers. Phil has been practicing Centering Prayer, a Christian form of meditation, for over 20 years. He helps lead Contemplative Outreach in New York, and presides at a monthly vespers service for St. Lydia’s. Phil has led workshops for Contemplative Leaders In Action, Ignatian Young Adults and churches in New York and at the Wild Goose Festival in North Carolina, and has organized several retreats. The opportunity to accompany others on their spiritual journeys, helping a bit along the way, occasionally seeing the light go on in another’s eyes, is a gift beyond measure. As Product Design Director at Clickradio, one of the longer-lasting dot-com ventures, Phil was involved in top-level strategy work creating a leading digital radio network, working with teams on everything from technical solutions for compressing and delivering audio, to marketing and promotion, to making deals with record labels. While Content Director for Housing Works, Phil led a total redesign project for the main corporate site and launched several other sites. Phil contributes to Living Faith. He has been published in Busted Halo, where he had a column for four years, the Washington Post‘s On Faith spirituality section and Our Sunday Visitor. Before writing about spirituality, Phil’s regular subjects were technology and politics. He helped start the PC Labs, which revolutionized technology media, at PC Magazine — then the nation’s tenth largest magazine. He wrote about technology there, including a landmark cover article about the Macintosh interface. Later he was Technology Editor at the leading computer trade-only publication, Computer Reseller News. Phil was a principal author of the first edition of the Microsoft Computer Dictionary. He wrote the Mac and Tomorrow’s Technology columns at CRN and has edited and written hundreds of tech help articles, comparative reviews and columns. Phil has been a contributing editor at Corporate Universities International and Computer Shopper, and has written for InternetWeek, PC Computing, PC Sources, and Computer Retail Week. He has edited and written content for commercial clients including Citibank, GTE and Human Factors International. Before his editorial work, Phil was a programmer, IT manager and QA manager. 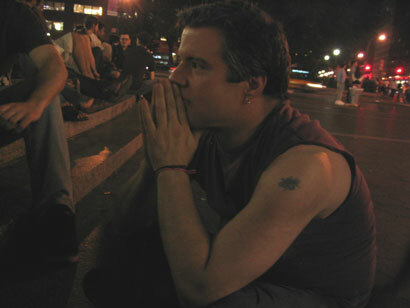 In the late 90s and early 2000s, Phil developed and programmed a popular downtempo radio show with a eclectic format that featured non-dance electronic music — primarily trip hop with some acid jazz — exotica, singer/songwriter, neo-psychedelic and alternative hip-hop, building the playlists as well as producing station IDs and bridges. Phil is a digital videographer. He was editor on the Nick Zedd film, Electra Elf 3, collaborator with King Missile in HERE’s curated series The American Living Room, and made a documentary on spoken word artist Celena Glenn. 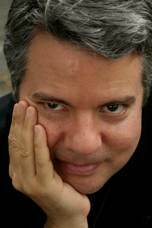 He has directed, edited or crewed on a number of smaller commercial, documentary and narrative projects.